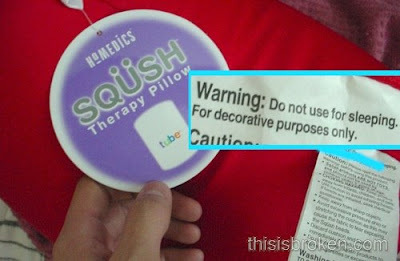 A therapy pillow that is for decoration only? A pillow you can't sleep on? I gotta get me one of them.